Mary Brown Bullock, executive vice chancellor of Duke Kunshan University, said the approval allowed the university, a joint venture between Duke University and Wuhan University, formally to start recruiting faculty and students for enrollment for the fall semester of 2014. China’s Ministry of Education has formally approved the establishment of Duke Kunshan University (DKU), a new joint venture institution created by Duke University and Wuhan University. DKU will offer both degree and non-degree academic programs for students from China and around the world. DKU will enroll its first students in fall 2014, and initially plans to offer master’s degree programs in global health (through the Duke Global Health Institute) and management studies (through the Fuqua School of Business), as well as a proposed degree in medical physics. Additional graduate degree programs that will be offered in future years are now being developed. DKU’s graduate degree programs will lead to Duke University degrees. For undergraduate students currently enrolled at other universities in China and around the world, the DKU Undergraduate Global Learning Semester will provide them with the opportunity to study at DKU and earn Duke University credit across several disciplines. Undergraduate courses in global health, the humanities, physical and natural sciences, and social sciences are planned for the 2014-15 academic year. DKU’s initial academic programs — in global health, business and undergraduate liberal arts education, as well as a graduate program in medical physics that is awaiting final approval from Duke — bring to China fields for which Duke is widely recognized for excellence, and provide a new set of options for Chinese and international students pursuing higher education in China. With more than 50 Duke faculty members planning to teach at DKU during its first two years of operation, all DKU programs are expected to deliver world-class educational experiences, said Peter Lange, Duke’s provost and chair of the DKU Board of Trustees. DKU students will have a significant international learning experience — by attending school with students from many countries and through opportunities most DKU programs will provide to study or conduct research in the U.S. — that will make them competitive when they graduate and embark on a career. The university is now accepting applications for admission for fall 2014. Program details and applications are available at http://www.dku.edu.cn. DKU has been in development since 2010 and the university received preliminary approval from the Ministry of Education in August 2012. 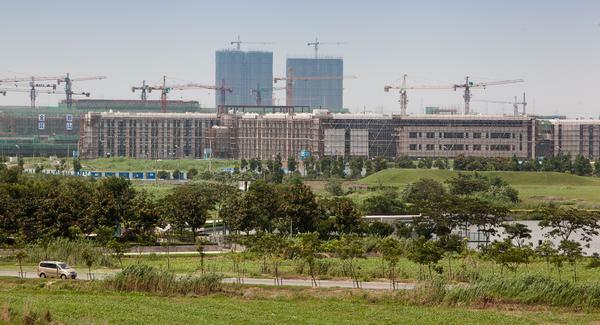 The city of Kunshan is constructing the DKU campus on a 200-acre site within the Kunshan Yangcheng Lake Science Park. The 750,000-square-foot residential campus includes state-of-the-art classroom facilities, library resources, student and faculty housing, dining, spaces for individual and small-group study, and recreational facilities. DKU is governed by an independent board of trustees that includes representatives of the parent universities and founding partners, and operates under a set of guiding principles that includes academic freedom and open access to information. Liu Jingnan, DKU’s chancellor, is a distinguished scientist, the former president of Wuhan University and a member of the Chinese Academy of Engineering. Mary Brown Bullock, the executive vice chancellor, is a scholar of U.S.-China relations and the former president of Agnes Scott College in Atlanta. 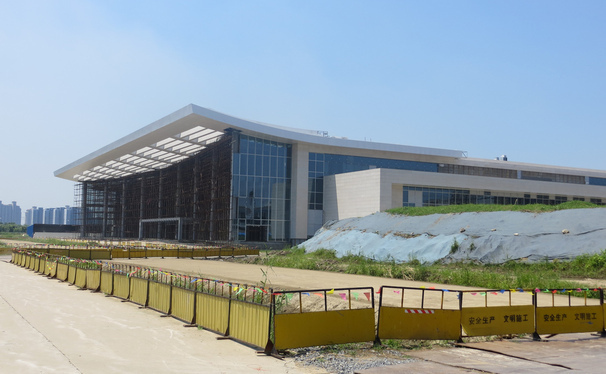 The Duke Kunshan University academic building is still under construction, but admins expect it will be ready for students to arrive Fall 2014.